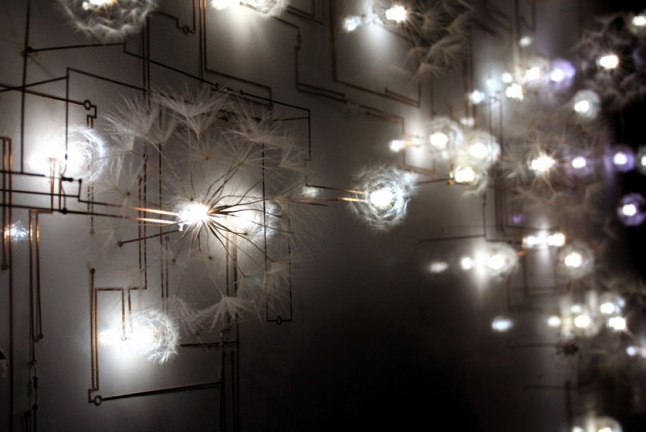 …I would be happy spend it on Design Drift’s ‘Fragile Future’ lightsculpture. “Fragile Future is about the amalgamation of nature and technology. Doesn’t this look like it’s straight out of a magical fairy tale? It is beautiful, i agree it likes magical fairy land. Thanks for visiting my blog. Let’s keep in touch and welcome to my blog usually. happy weekend! Oh waw! Breathtaking! And such an interesting concept. Hm, I don’t like it.. It’s a little bit scary. This design is amazing! WOW!